Today Expert Voices contributor Daniela Rus writes about mapping challenges outside of big cities. Self-driving cars and electric vehicles are inextricably linked, but while AVs are still a long way off, scores of not-yet-profitable EVs are on the doorstep. Carmakers, a new study from McKinsey suggests, need to rethink how they design and sell EVs in order to reverse those losses, grow the market and pave the way for AVs. 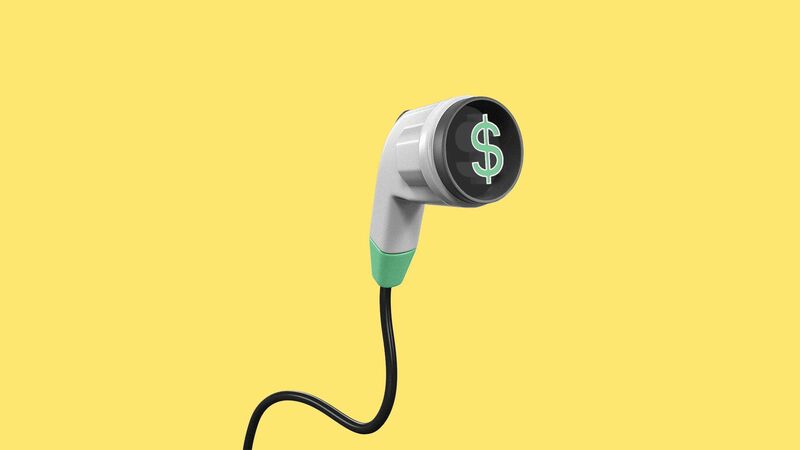 Why it matters: Automakers will pour $255 billion into EVs by 2023, per AlixPartners, but are resigned to losing money on them for the foreseeable future — an expected outcome of a market dictated by regulators and lawmakers, rather than consumers. But because they're key to future self-driving cars, they'll keep investing in them. The big picture: Right now, EVs are an expensive black hole for carmakers. By 2030, Deloitte says the industry could produce 14 million more EVs than there are customers. Using more basic materials for things like electronics, seats and interior trims is another cost-saving tactic to make EVs more affordable. But, that's one of the oldest tricks in the industry — consumers know when they're getting a lesser product, so stripped-down models aren't the answer. What to watch: Consumer attitudes are shifting, with more people indicating they would consider buying an EV. If so, that black hole might not be as deep as feared. Breathless media coverage of when and how AVs will be deployed has largely ignored the reality that they can only drive on roads that have been mapped, which is mostly in cities, Daniela Rus writes for Axios Expert Voices. Why it matters: If AVs were deployed today, they would be unable to navigate millions of miles of U.S. roads that are unmarked, unlit or unpaved, and the technology needed to do so is still nascent. What's happening: Companies like Waymo test their AV fleets in big cities where they’ve spent thousands of hours labeling the exact 3D positions of curbs and lane dividers. Rural roads, meanwhile, have a diversity of surfaces that make them more complicated to map, and they also get less traffic, so there’s less incentive for companies to devote resources to mapping them. What's needed: AV's current navigation capabilities could be enhanced if two types of solutions were adopted: automated maps and perception-based technologies. Generating maps automatically involves taking aerial images and geographic data, and then converting them to machine-readable 3D maps. Perception-based technology and systems would enable an AV to navigate without highly detailed maps, relying instead on cues like clear road markings. The bottom line: With or without maps, AVs still can’t function in many scenarios, including unmapped roads. Additional advances in sensor technology, mapping and AI will move AVs closer to full autonomy anywhere. Rus is director of MIT’s Computer Science and Artificial Intelligence Lab and a professor of electrical engineering and computer science. 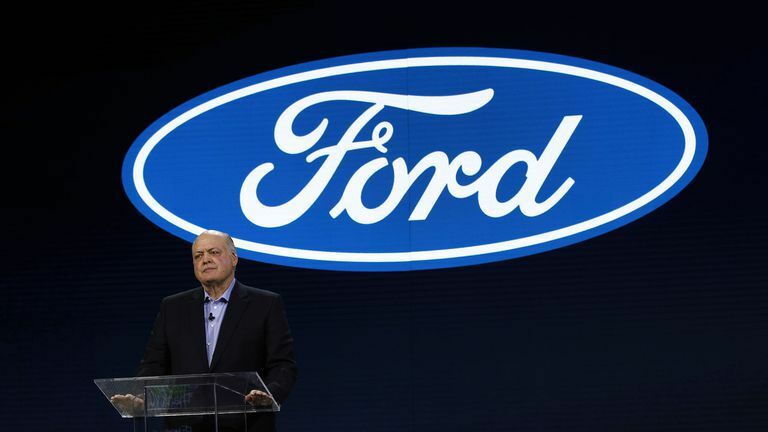 Ford CEO James Hackett is splitting responsibilities between two of his top deputies with the goal of fixing the core business and preparing for an uncertain future. What's new: The company named Joe Hinrichs as president of its automotive unit and Jim Farley as president of new businesses, technology and strategy. Marcy Klevorn, Ford's top-ranking female exec, will retire in October, the company said. Until then, she will serve as chief transformation officer, reporting to Hackett. Tesla has disrupted many things about the traditional auto industry, including the way we think about used cars. Why it matters: Instead of viewing your 3-year-old Tesla as a depreciating asset that needs to be unloaded on the used car market, you're likely to make more money by renting it out when you're not using it. EVs are simpler and have fewer parts, so they last longer — 500,000 miles or more — but unless you're an Uber or Lyft driver, you'll probably never drive that many miles. While the tires or seat leather may eventually wear out, connected cars tend to improve over time through over-the-air software updates. Thus Tesla vehicles enjoy higher resale prices than most cars. What's happening: Tesloop, a company that started out in 2015 using Teslas to shuttle passengers between LA and Las Vegas, has pivoted toward peer-to-peer car-sharing, leveraging Tesla's unique connected vehicle technology. By registering their car on Tesloop's new Carmiq network, Tesla owners agree to share data about their vehicle, including when it's not being used. In return, they get free access to data-driven services like insurance, tire services, parking and battery charging. They can also list their car for rent by the hour, the day or the month. Carmiq handles the digital transaction, as well as the logistics like cleaning and delivery, using third-party providers. Rental fees depend on a real-time economic analysis of the car's value, based on the data feed to the network: Is the battery charged? Are the tires in need of replacement? Is it conveniently located? The bottom line, according to co-founder Rahul Sonnad: You can sell that 3-year-old Tesla for roughly $27,000, or rent it out and pocket $70 a day or $1,500 a month. Why it matters: There's an all-out war between true believers in Tesla and the army of short sellers who believe it's destined to fail. This fascinating story shows the lengths the shorts will go to prove they are right. My thought bubble: The charges and countercharges spinning around Carlos Ghosn, creator of the Renault-Nissan Alliance, will one day be decided in court. But this drama has to be distracting for the company, so watch for financial results next month. Why it matters: Wayve, a British startup, raised a lot of eyebrows in recent days with its claim that it only needs cameras, a GPS tracker, and a powerful computer to be able to drive anywhere autonomously. In a blog post about its machine-learning method, the company said its cars are learning to drive like a human would. "With each safety-driver intervention, our system learns and will improve, rather than buckle with scale. It will take us longer to reach our first deployment, but we are riding a fundamentally different curve." My Axios colleague Kaveh Waddell found this ironic car–plate combo in a Stanford University parking lot this week. It's not clear whether or not the owner of this Tesla P85D — a car that retailed north of $120,000 when it was released — made their money off of AI HYPE. In either case, Kaveh notes, the driver had better hope that AI isn't all HYPE if they're letting Autopilot, Tesla's semi-autonomous driving system, take the wheel on highways.